Computational Materials Design in Semiconductor Nano-Spintronics, H Katayama-Yoshida et al. Transition Metal Doped ZnO, D P Norton et al. Spintronics in III-Nitride Based Materials, R P Davies et al. Electronic Structure and Lattice Site Location of Mn in III-Mn-V Ferromagnetic Semiconductors, K Alberi et al. Ga1-XMnXP Synthesized by Ion Implantation and Pulsed-Laser Melting, P R Stone et al. Magnetic Doping of Group-IV Semiconductors, M M Özer et al. Electrical Spin Injection in Hybrid Ferromagnetic Metal/Semiconductor Structures and Spin-Light Emitting Diodes, P Renucci et al. 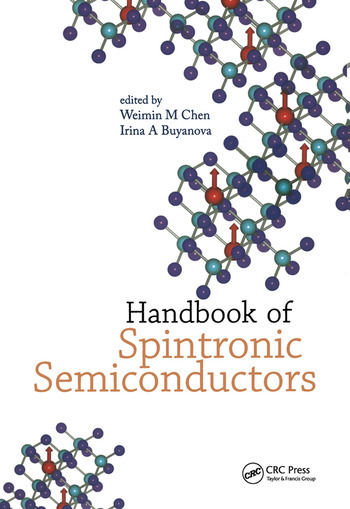 "This book offers recent progress in the spintronic research of semiconductors. The authors, active in this field, provide both theoretical and experimental aspects of the current issues relating to the aforesaid field and the potential applications of diluted magnetic semiconductors. An excellent reference in the spin-related semiconductor physics and electronics for graduate students and researchers."